You can buy Moderno Outdoor Heaters at your local electrical wholesalers nationwide. 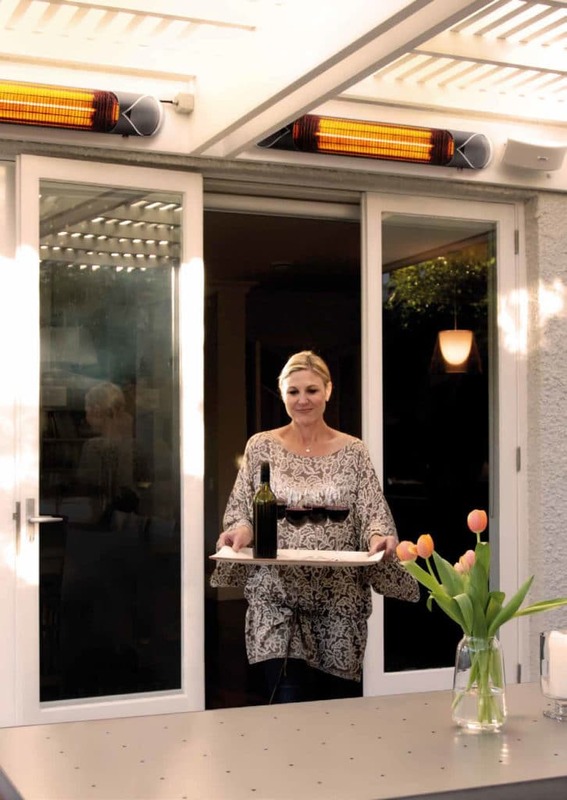 The innovative and stylish Warmtech Moderno carbon infrared outdoor heater has a slimline design and can be controlled from a long distance with a periscopic remote control. Moderno carbon infrared heaters generate heat only when required, allowing you to enjoy immediate warmth and comfort. They are up to 80% more efﬁcient compared to traditional heating systems, thus reducing your running costs dramatically. There is no longer the need to pre-heat the air or risk the escape of warmed air. Suitable for outdoor or indoor usage, these heaters are compact in design, look great wall mounted or ceiling mounted and can accommodate all heating spaces. These heaters are ideally suited for Alfresco dining and outside areas at cafes, restaurants and bars. 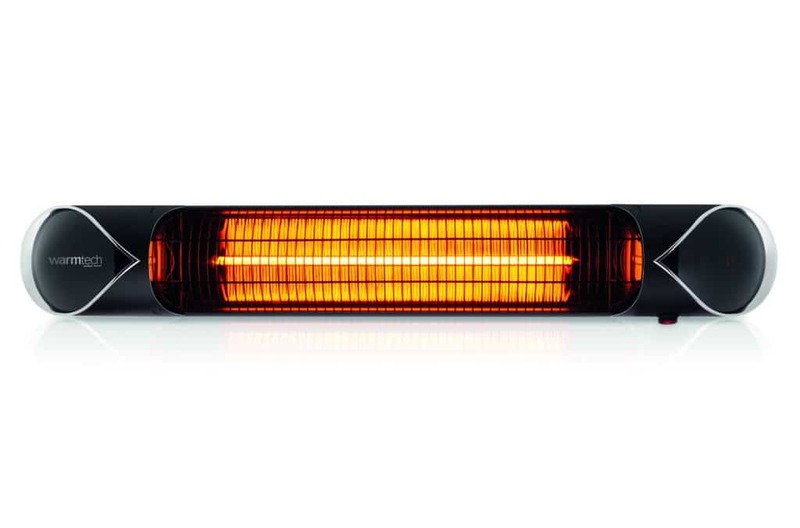 In homes and workplaces, where doors are frequently opened and closed, these heaters provide immediate directional heat. They function well in areas of high heat loss and perform exceptionally well in buildings with elevated ceilings, e.g. schools, churches and community centres. Can be mounted horizontal or vertical. Do not burn oxygen, creating an extremely efﬁcient directional heat. They do not require the reﬁlling of gas bottles, which can run out at inconvenient times. Odour and CO2 emission free. Not affected by wind or air movements. 80% more economical than traditional heating systems. 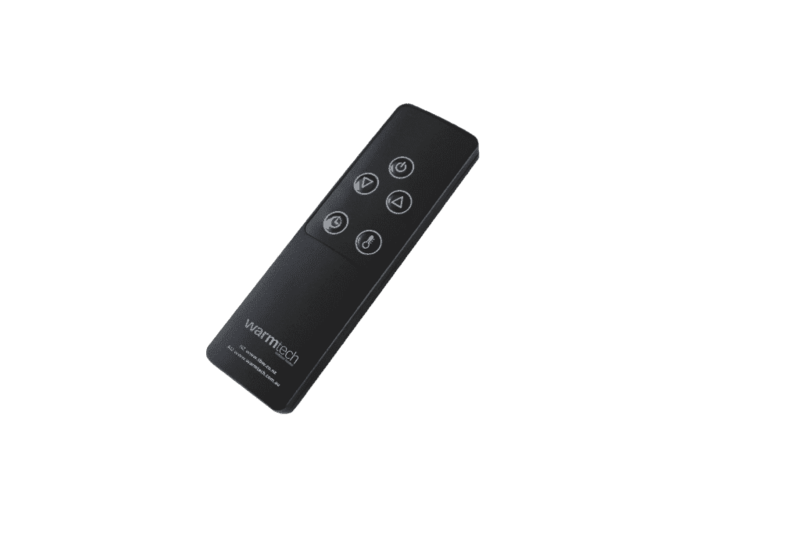 Periscopic remote control – can be controlled from a long distance and wide course. Automatic temperature control regulates power consumption based on your set temperature and eliminates annoying hot and cold cycles. Whether you are a DIY person or not, feel free to utilise our handy installation instructions. Periscopic remote control – can be controlled from a long distance and wide course. Automatic temperature control regulates power consumption based on your set temperature and eliminates annoying hot and cold cycles. If you have any further questions relating to our products, require technical assistance or would like to find out more about the costing and process, we are happy to assist. Please include your details below and a representative will be in contact soon. Alternatively, if you want to do some more research, feel free to browse our product brochures or installation guides on our site. ©Warmup 1983 - 2019 All rights reserved. Physical Address: 483a Rosebank Road, Avondale, New Zealand, 1026.